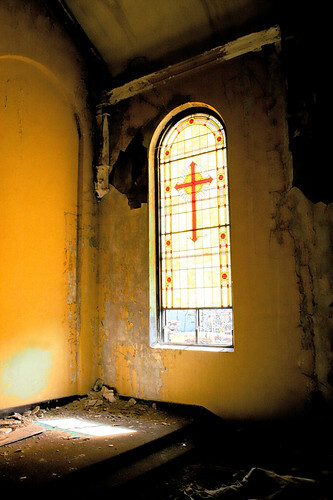 This is a window inside an old abandoned church in the East Bottoms of Kansas City, Mo. HDR created with Photoshop CS3, my first attempt at hdr. See the next image in the photostream titled "Window" for a photo I took of a window in the rectory next door.